← Events at Opstal to look forward to! 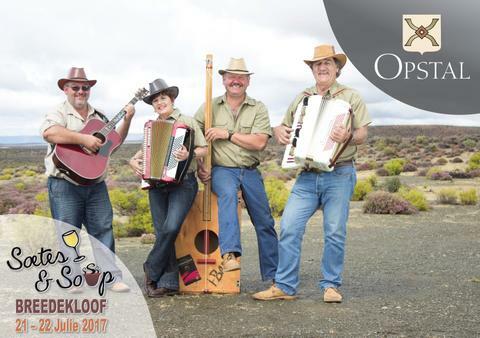 This year our Soetes & Sop weekend (21-23 July) will kick off with an Opstal Live show with Klipwerf Orkes! 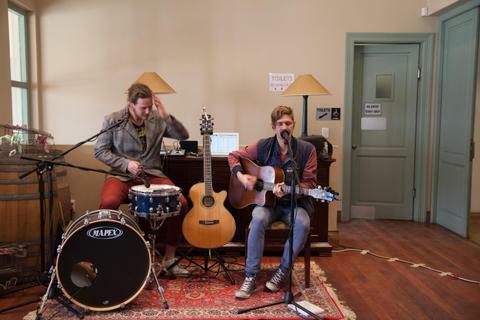 The Klipwerf Orkes, a band born and bred in the Calvinia district of the Hantam Karoo, has their own unique style of music that no one can copy. Bring your family and friends and join us for a “vaste vastrap”! Food stalls with a variety of traditional South African cuisine and a cash bar will be available during the show. Tickets are R170 per person and are available on Webtickets. The Klipwerf show at Opstal can be attended without a Soetes & Sop Festival pass. On Saturday, our festival favourite, Opstal Vars market will be running till three o’clock. Come and enjoy fresh farm-style produce, funky accessories, handmade wood items and more! While you are browsing, we have a face painter and jungle-gym for the kiddies. 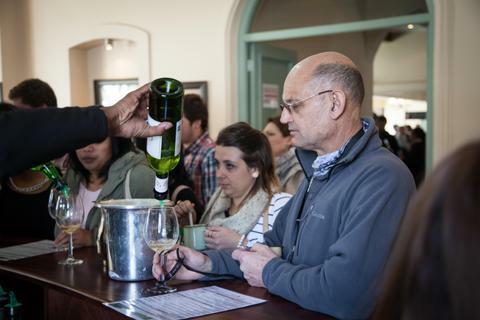 Please note: The Soetes & Sop Festival pass should be bought separately if you would like to visit participating cellars and venues. The Soetes & Sop Festival starts on Friday, the 21st of July and ends on Saturday, the 22nd of July. Ticket prices range from R120.00 to R150.00 per person and will be released on Webtickets in June 2017. Please note that no tickets will be available on the day and only limited tickets are available online. And then on Sunday, before heading back to reality, pop in for a breakfast or lunch at our restaurant. We look forward welcoming back many Opstal friends to this ever popular festival! 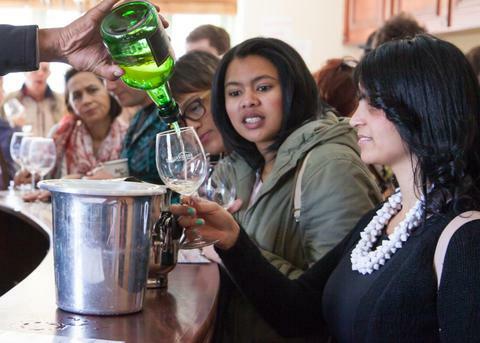 For more information, please contact us on 023 344 3001 or send us an email at wine@opstal.co.za. Opstal is good when it comes to restaurants and it can help you a lot and people in difficult essay writing. You can always be good at this website and think a lot.